As we are all aware, English remains the most popular language of official and business communication. It is the medium through which we apply for jobs or for leave, present our findings, write important notifications or communicate with colleagues in the workplace. As young adults preparing for professional or vocational education, your JSS students need to practise communicating effectively in writing in formal situations. This unit aims to provide you with opportunities to explore a variety of techniques to assist your students to communicate effectively through letters, notices and reports. give your students some exposure to reports. Communication for official or business purposes. It often has a prescribed format. 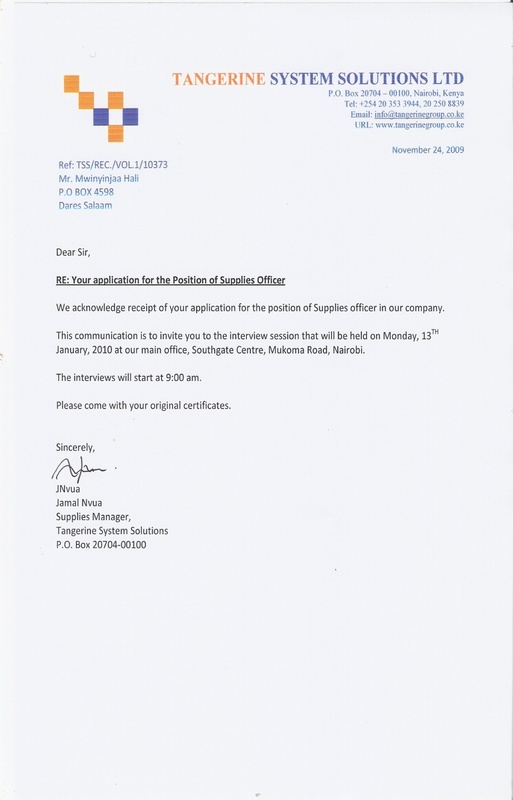 A formal letter is an example of business or official communication. Familiar, casual and personal communication. An informal letter, for example, is a way of communicating with people we are close to or familiar with. A brief statement that presents the main points in a concise form. A written summary/analysis of an event, which may include numerical data and factual details. Reports may be short, such as news reports, or detailed summaries of official meetings and presentations. Effective communication is an essential element of writing. The case study and activities in this unit identify some of the teaching techniques that can assist you in developing your students’ ability to communicate effectively. Through demonstration and discussion, for example, your students will explore the importance of taking time to consider who they are writing to, what they wish to communicate and how they can present their message or ideas better to achieve effective communication. The Resources section has additional materials to supplement your activities. Mrs Mwasala, a Form Two English Language teacher at Juani Secondary School, decided to try a new method of teaching letter writing. She read out to the class a letter that she claimed to have found in the corridor, and asked them to say what kind of letter it was. The students said it was a love letter. Mrs Mwasala then distributed a copy of the letter to her students, working in pairs, and asked them to write a reply to the letter. Mrs Mwasala then formed groups made up of three pairs each, and asked all the groups to note the format of the letters they had written. As she moved from group to group, she noticed that they were able to clearly differentiate the sections of the letter, including the salutation and closing. She then asked one member of each group to write a similar format on the board, and reminded the students that this kind of format belonged to an informal letter (Resources 1 and 2). 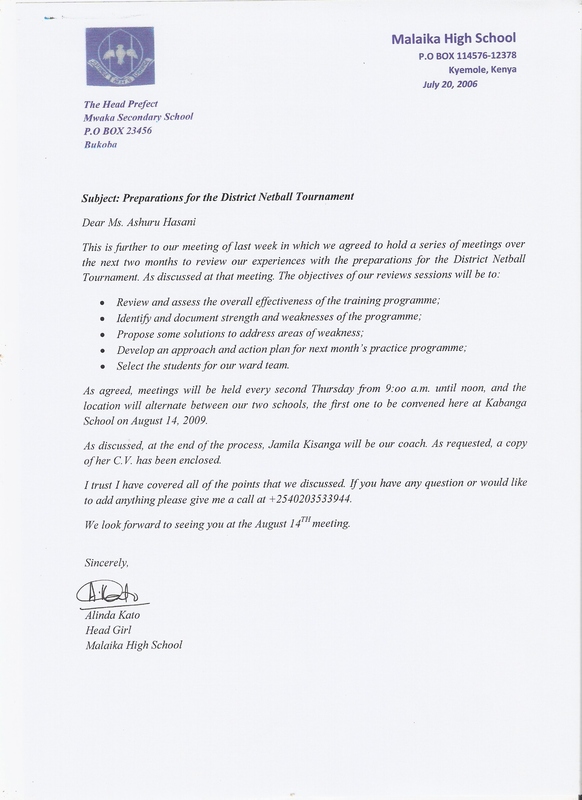 After identifying the main features of the informal letter, Mrs Mwasala focused on the content. She showed samples of personal letters to her students, and explained that the content of letters to and from friends and relatives focuses on personal matters, making them less formal than business letters. However, she pointed out, they still follow a certain format, including the address of the writer, the date, introduction, body and conclusion. Then she asked each student to write a letter to a relative or a friend. Later, working in groups, the students read, discussed and edited their letters. The final drafts were compiled in a class book. In the next lesson Mrs Mwasala taught her students the format and content of formal letters. She brought along samples of formal and business letters (Resource 3), and also newspaper cuttings of job advertisements. The name of the company, institution or agency advertising the job. The qualifications they were looking for. The personal details of the candidate the advertiser was looking for. Then Mrs Mwasala gave samples of formal and business letters to the students (job applications) and asked them to note the pattern/format of the letters. In the next class, Mrs Mwasala had the students draft a letter of application in answer to the advertisement they had read the previous day. They were told to use the format of the sample letters. For the content, she asked them to use the information they had noted in the previous class. The letters were so good that some students obtained temporary jobs during their school holidays on the strength of these letters. Do your students write letters? Have you asked them to bring their own personal letters to the class and used these to teach? Since people rarely write personal letters nowadays, do you think we should stop teaching this and concentrate on official letters only? Why, or why not? For this activity, put the students in groups and give each group at least three different types of letters — a job application, a personal letter and a letter of complaint. Ask them to identify which of the letters are personal and which are official, and to mark the differences between personal and official letters. Use their feedback to discuss the format of a business letter (i.e., a letter written for official purposes such as job applications, complaint letters, etc.). Draw their attention to the particular differences in the format, such as the date, the salutation, the subject line and so on. Let representatives of each group write on the board one part each of a business letter. To make them more familiar with the format of official letters, give them an activity to do in pairs (Resource 4: Format of a business letter [worksheet]). Using the sample official letters given in Resource 3 to guide them, have them practise parts of the format, as given in the worksheet in Resource 4. As part of the feedback, remember to point out that there are no fixed rules in letter writing; there are only conventions that allow people to communicate with the least amount of confusion. For example, the North American convention is to write the month before the date, whereas in the British tradition the date precedes the month. For example, 12 April 2010 or 12.04.2010 is the British format, and April 12, 2010, or 04.12.2010 is the North American format, with the abbreviated form leading to possible confusion with 4 December 2010 for British people. To avoid this, it is better to write the date as 12 April 2010.
explain to her that the principal has asked them to sort and keep the newly bought books in the library. At the end of the activity, have the pairs exchange their draft letters and make corrections under your supervision. As homework, they should add, delete or modify their letter as suggested, check for spelling and grammatical errors and make the letter ready for submission. As you are aware, the noticeboard of an institution is usually a regularly visited area. Much communication between authorities/employers and students/staff/employees is conveyed through the noticeboard. Notices can be for various purposes, such as the announcement of events, reminders, information about lost and found goods, and so on. When teaching students how to write a notice, we need to keep in mind the style: the format, the sentence structures, the manner in which important information is highlighted and so on. For this activity, bring copies of notices from your school noticeboard (or you can design your own notices), preferably announcing events that are of interest to students (for example, sports/co-curricular activities). (See Resource 7b for a standard notice.) Make sure your samples have similar formats so that it is easier for students to list the important features of a notice. Also bring samples of official letters to contrast the style of a notice with that of a letter. Before showing your students the sample notices, have a class discussion on the ways in which people share written information with a large number of people at the same time. You could begin the discussion by asking them how their school communicates to them important information about co-curricular activities, exam schedules, competitions or exhibitions to elicit the word notice from them. Draw their attention to why letters, emails or other similar ways of communicating cannot be used in such situations (explain that these are ways we communicate with one person or a limited group of people we know personally or professionally). For the activity, ask the students about the kinds of topics that we find in notices (lost and found, announcement of events, reminders of deadlines, warnings, etc.). Once you have a list of their contributions, choose a topic for the class activity (preferably something familiar to them, such as a lost-and-found notice). Break the class into groups of five. Give each group a sample notice and a sample letter. Ask the groups to list points about the format of the notice. Their points should include the structure, how contact details are given (see Resource 7a), and so on. After ten minutes, collect their feedback and write the points on the board. Alternatively, you can use the sample notice in Resource 7b for a similar task. For this task, rewrite the contents of the sample notice in essay form (i.e., without breaking it into headings, sub-headings, capitalisation, etc.). Have the students work in pairs and give them this copy and the sample notice. Let them study the two formats and decide which one is suitable for a notice, and which is more suitable for giving information in a different form. This task should make the students aware of the special format and content style of notices. The students should now be ready to write a notice for their class noticeboard. Have the students work in groups to design different types of notices: a lost-and-found notice, one announcing a competition, another issuing a warning about late arrival for morning assembly and so on. Have the groups exchange their notices and edit them. The groups should then take their own compositions back to make final copies, which can subsequently be put up in the class display board. As you are aware, a report is a short and concise summary of an event. However, a professional report includes much more than a summary; it has tables of figures, diagrams, analyses of the event and a bibliography listing the documents consulted during the writing of the report. At this level, your JSS students need not learn the details of writing a professional report. But it is important for them to practise summary writing for real-life purposes, one of which is report writing. You can have them practise the skills of report writing by using newspaper reports as a model. A newspaper report is aimed at a general audience and so presents important events in a concise way, using simple vocabulary and structures. Note also that newspaper reports are usually written in the passive voice, because the focus is on the event that occurred and its effects. For example, headlines frequently begin Three killed in road accident.../World chess champion Vishwanathan Anand’s citizenship questioned... and so on, because the person behind the action is less important than the event itself. The following activity is designed to help your students practise writing a simple report for a general audience. Before you begin, bring to the class a selection of newspaper reports like the one in Resource 5. To begin the activity, put up on the board the two headlines given above, and ask your students to guess where they might see such sentences. Then, alongside each headline, place the same sentence in the active voice (A bus driver killed three people in a road accident.../The government home department questions the citizenship of world chess champion Vishwanathan Anand), and ask them what is different in each pair of active and passive sentences. Ask them about the difference in structure (passive or active), the focus (the action itself/the doer of the action) and style (use of numerals and short sentences, inclusion of only important facts, no personal opinions, etc.). Announce that the headlines they studied were from newspaper reports, and that they are going to learn how to write a report. With their input, draw up a list of points to remember while writing a report; for example, include only important points, use passive structures where possible, keep the important points in the correct sequence, avoid personal opinions and so on. For the activity, divide the class into groups of five, and give them sample newspaper reports as a guide. Then give them a passage and ask them to draft a short report on it. Make sure that for half of the groups, the passage is in list form (a list of important points) (see Resource 6a), and for the other half, the passage should be in essay form (see Resource 6b). The first (list) will need to be expanded, while the second (essay) will need to be shortened. This means that half of the groups will have an expansion activity, while the other half will have a contraction activity. This allows you to address both types of report writing. Once the drafts are ready, have the groups exchange their drafts with one another, and suggest corrections in the content and style of each draft report, wherever necessary. Afterwards, have a class discussion on the suggested corrections to highlight the different strategies they needed to use while expanding information from list notes, and contracting information from an essay format. Again, review the techniques of writing a report that they discussed before they began the activity. To complete the process of writing, give the groups their drafts back for editing and final submission with the necessary corrections. Have them compare their report with the original essay/list they received so that they can check the information is correct and in order. As a homework assignment, you could ask them to read that day’s newspaper or listen to a news item on television and write a report on it for the next class. This individual follow-up activity will give your students an opportunity to practise their newly acquired report writing skills. In this unit you learned how to develop your students’ skills in writing formal letters and how to use questioning techniques to guide students in making good summaries or reports. The activities can also help you expand your students’ vocabulary. Did the students write good formal letters? Did you complete the activity within the planned time? Which part of this unit would you like to modify to suit your classroom situation? What other forms of official communication should we teach JSS students? Can you design an activity to teach students how to write a bio-data sheet? Do you think this would be a useful exercise for your students? Most people have either written or received an informal letter from a relative, a friend or an acquaintance. An informal letter is often written for the purpose of communicating with someone we are close to, or are familiar or comfortable with. Informal letters are therefore less structured and personal. However, informal letters still follow a certain format, including the address of the writer, the date, an introduction, the body and a conclusion. The introduction is usually in the form of a greeting, self-introduction and very short summary of the main topic of the letter. The body usually consists of the writer’s message, along with any extra details he or she may want to convey. In the conclusion the writer wraps everything up. This is the place to sum up the main idea of the letter, thank the recipient for their time, wish the recipient well and/or ask any questions. I hope you are fine. I am fine too. I know it has only been two months since I was transferred to this school but it feels like such a long time since the last time I saw you. How are you enjoying school these days? Have you made new friends? So far my experience with Mkombozi Secondary School has been great! I have managed to make new friends. Although there is no beach close by I am enjoying nice shades of mango trees. I’ve been playing lots of netball and I’m also learning to play soccer. Soccer is a bit tough and requires more energy but we have a good coach. On the weekends I visit with my friends or go gardening with Mummy and Hamza. Dad and Mum have acquired a small plot and we are all excited about it. If you come to visit you will eat mangoes from our garden. We have two mango trees in our plot. I have come to like this place but I wish you were here to share it with me. I may come to visit during the mid-year vacation. Do you think you’ll be around? If you are, we could spend some time together catching up! Please write and tell me what is happening over there. Here are some ways of writing the important information in a letter to an employer to apply for leave. Looking at the format of the sample letter you have been given, select the appropriate forms by circling them. Report on the Manila hostage drama: The Hindu, Tuesday, 24 August 2010, Manila. Seven people were killed on Monday in the Philippines when an ex-a sacked police officer seized a tourist bus and opened fire at his hostages before he was killed by police. Six of the dead were Chinese passengers held for more than 10 hours inside the air-conditioned bus in a seaside park in Manila City, according to doctors at two hospitals where they were brought. The hostage-taker, dismissed police officer Rolando Del Rosario Mendoza, was also killed in an exchange of gunfire with the police assault team, authorities said. There were 15 Chinese tourists and a Filipino driver being held in the bus when the violence erupted. The driver escaped from the bus when Mendoza began to open fire in an angry outburst after seeing his brother, who was helping in the negotiations, dragged away by police. Six Chinese hostages survived the assault but suffered various injuries. One woman cried hysterically as she was helped out of the vehicle, whose glass windows were shattered. Interior Secretary Jesse Robredo said the government was “saddened” by the violent end to the standoff, which began more than 10 hours earlier. Armed with an M16 assault rifle, Mendoza seized the bus and demanded that authorities reconsider his dismissal from the force in February 2009 due to extortion and harassment. He warned authorities of violence if his demand was not met. There were 25 people inside the bus when it was seized, including 20 Chinese tourists, a travel guide from Hong Kong and four Filipinos. Six Chinese tourists, including three children, and three Filipinos were subsequently freed unharmed as “gifts” to negotiators, said Manila City Vice [Police Chief] Isko Moreno. Before Mendoza opened fire, a Chinese woman told DZXL radio station that she and her daughter were among the hostages. “We are okay but we are afraid,” she said. The hostage-taking played out on live national television, giving Mendoza a chance to see most of the movements of the police from inside the tourist bus. The Hong Kong government said it had chartered a plane to take relatives of the dead and injured holiday makers to Manila. — DPAe police from inside the tourist bus. Inaugural function: flag hoisting by principal, speech by principal, welcome address by vice principal, declaration of Games open by Chief Guest the Honourable Governor (9:00 a.m.), Assembly Hall. Announcement of Schedule and Agenda by Sports teacher, students arranged around the playground according to classes. (9:30 a.m.), Assembly Hall. First set of events: (10:00 a.m. to noon.) Athletics (100, 200 & 400 m races, pole vault, javelin throw, high jump and long jump), Race Track. Second set of events: (12 noon to 2:00 p.m.) Football, basketball and handball, Mini Field. Lunch: (1:00 p.m. onwards.) Marquee (tarpaulin tent) outside Assembly Hall. Third set of events: (2:00 p.m. to 4:00 p.m.) Table tennis, badminton and chess, Indoor Hall. Prize distribution: (4:00 p.m. to 5.30 p.m.) Declaration of Games Closed by principal, announcement and distribution of prizes by Chief Guest, Assembly Hall. The Annual School Sports Day was inaugurated by the principal in the Assembly Hall at 9:00 a.m. today. The function began with the principal hoisting the school flag, and then gave a speech. This was followed by a welcome address by the vice principal, thanking all the guests, parents and students for gracing the occasion and participating. The Games were then declared open by the Chief Guest — the Honourable Governor. The inaugural function was well attended, and ended on time. The principal then invited everyone to help themselves to refreshments and enjoy the sporting events. At 9:30 a.m., the Sports teacher announced the schedule and agenda for the day and gave instructions to each class about their allotted places in the grounds. The Sports Day had several categories of events lined up for sports lovers. All the events were scheduled between 10:00 a.m. and 4:00 p.m., with lunch served in a central marquee (tarpaulin tent) just outside the Assembly Hall, so that large numbers of people could dine at the same time. The first set of events was Athletics with track and field events: the 100, 200 and 400 metre races on the Race Track, pole vault and javelin throw on the far end of the track, and high jump and long jump events on the inner field. These events ran from 10:00 a.m. until noon, so that other events could be organised without delay. The days being shorter in the winter now, the school took care to organise the games well within daylight hours. The principal organised the events in such a way that all the spectators could watch all the events, both indoors and outdoors. Athletics was followed by team sports — football, basketball and handball. The finals of these three sports were played between 12 noon and 2:00 p.m. in the Mini Field, and people were free to bring lunch from the marquee and have it on the grounds on the condition of no littering. The last set of events was indoor games — table tennis, badminton and chess, which were organised in the school’s Indoor Hall. The table tennis, badminton and chess games were played one after another, from 2:00 p.m. until 4:00 p.m. The day went smoothly, with no major hiccups and just ten minutes of extra time. The prize distribution ceremony was held right after the events were over and lasted from 4:00 p.m. until 5.30 p.m. The Chief Guest, who had graciously stayed for the entire day, was called upon to award the winners of the various events. In the closing ceremony, the principal first declared the Games closed, and then asked the Honourable Governor to both announce and distribute the prizes to the winners. The ceremony was held in the Assembly Hall so that all the attending parents could proudly watch their children walk up to the dais to receive their prizes. The Chief Guest then thanked the organisers, participants and spectators for making the day a success, and admitted that he had enjoyed himself more than he had expected. The school authorities thanked the guest on behalf of everyone, and with this, the Annual School Sports Day came to an end. Notices, especially in schools, provide information about things lost and found, events that have happened or are about to happen, meetings, functions, tours, fairs, exhibitions, camps, etc., being organised or postponed, new developments in the institutions or new rules and so on. Notices should contain only the relevant information in simple language. Who is giving the information. Who the information is intended for. What is the action to be taken. Date, time and venue, if it is about an event. Notices should use CAPITAL LETTERS for the word notice, the name of the school, the heading, and the name and designation of the contact person. The heading must be eye-catching. JOIN ONE JOIN ALL! EARN NAME AND FAME! Little Flower School is organising an Inter-School Debating Competition for Junior Secondary students. Interested participants should register their names on or before 30 September 2010. The first prize is $1000/- and a trophy. All competitors will be awarded certificates of participation. Date: 15 October 2010 Time: 11:00 a.m.
For more details contact the undersigned at his office between 9:00 a.m. and 3:00 p.m., Monday to Friday. Question: Would it help if I brought actual samples of official documents such as job advertisements in newspapers, bank forms or application forms of colleges or companies? How can I use these in the class? Answer: Bringing actual documents (also called authentic materials) to the class is in fact a desirable strategy for effective teaching. Actual documents are interesting for students as they give them a taste of real-life communication. Commonly available books on letter writing or notice writing do not give students the experience of real communication, so devising pair- and group-work tasks to help students respond to such forms or job advertisements will be good classroom activities.